Caron’s wide-range bath/circulator has a reputation as a dependable cooling solution, within a minimal footprint. With a wide -15 to +90C temperature range, and 6.5 LPM max pumping power, the 2050 meets the needs of a wide range of instrument cooling applications. At just over 1 square foot in size, it fits neatly into both integrated solutions and space-constrained workspaces. 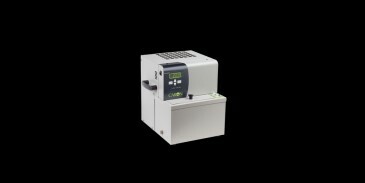 Caron’s condensate recirculator turns both standard tap water and environmental chamber condensate into lab quality 1 megOhm water. The CRS is a compact and easy to install alternative to expensive whole-lab water systems, and recycles condensate water in locations where a floor drain isn’t available.